Zimdancehall star Soul Jah Love went berserk on Tuesday and assaulted his wife Bounty Lisa, alleging she had been impregnated by a city drug dealer. Bounty Lisa, who is nursing injuries on her face and elsewhere on her body, told the Daily News at her father's home in Kuwadzana 5,Harare,that the Pamamonya Ipapo hit-maker attacked her with fists and an iron bar despite the fact that she did not know the drug dealer in question and was not pregnant at all. "Achibva apinda mumba achitora mabag angu achimakanda panze . . . aingotaura nyaya yenhumbu. Akazondidhonzera mumba ndokundirova nesimbi ndobva adzokera kundirova nemaoko . . . akatanga kundirova masikati kusvika kwadoka . . . vanhu vese vaneta vaakungosiya achindirova (He threw my bags out of the house, dragged me into the house and started hitting me with an iron bar. )," said Bounty Lisa, whose real name is Lisa Musenyi. She added that the assault happened even though a pregnancy test that had been done earlier had tested negative. "Akatuma munin'ina wake kunotenga pregnancy test . . . ndobva ndatestwa ikabuda negative . . . vanhu vese vakati yabudisa one line but iye akati ipositive . . . handina kuzokwanisa kutarisawo because ndanga ndakutorohwa (He sent his brother to buy a pregnancy test kit whose results were negative. Everybody in the house saw the result but I was already being assaulted. )," said Bounty Lisa. The songstress said she only managed to escape after Soul Jah Love had taken her to the drug dealer's place. "Much later apedza kundirova akati ndiperekedze kutown tikaenda kumadrugs kuya . . . ndobva adzika neumwe wevakomana vemadrugs vaya ndokuti mazivana here . . . mukomana uya akati wakadzoka ukandirova asi handivazive. Paakadzoka mudenga ndakabva ndaenda kumataxi ndikauya kumba kuKuwadzana (He later took me to a drug dealer's place where he asked whether we knew each other. The drug dealer alleged that he had also been beaten up by Soul Jah Love. )," she said. The Zimdancehall songstress, who reunited with Soul Jah Love last year after breaking up with Zimdancehall star in 2016, attributes her problems with the Yeke Yeke singer to drugs which make him hallucinate. "Paakatanga kudhakwa nezvaakange avekudhakwa nazvo pese apa izvozvi aiti akauya kumba aisvikotanga kuona kunge mumba munevamwe vanhu of which taigara takawanda inini naye, nenhanzvadzi yake nemurume wayo nevana vayo two, munin'ina wake nemukadzi wake . . . taigara takadaro . . . pese paakange ave kuuya aiuya achifunga kuti mune vanhu vakatomira mumba . . . aigona kupinda achiti wanga wakamira nemunhu pawindow asi vanhu vese varimo mumba vasina zvavari kuona. Ndomatangiro azvakaita. Problems started around October last year when he began taking this particular drug and would allege there were people in the house but many of us who were living with him in the house did not see these people)," said Bounty Lisa. She added that the new drug, which she could not identify, was making Soul Jah Love paranoid. "One day he came back to the house (in Greendale) akasvika achiti manga mune vanhu . . . achibva anditi chirongedza bag rako uende kumba andichadi nezvako . . . pakamboitika noise yekudhonzanadhonzana vanhu vanga vari pamba vachibata ndikabudiswa kunze kwegedhi chaiko . . . zvinenge zvakasvika kuma2am kusvika iye azodzokakumasenses ake (At one time, he has asked me to leave the house and pushed me out of the gate until around 2am). "Akazoti ngatichidzodzokera mumba. Tete vangu vakatouya usiku uhwohwo vakati babamunini chii, vakaedza kugadzirisa nyaya iye akati sorry handizivi change chichiitika kwandiri. Tazorara zvakanaka," said the songstress. She cited one day when Soul Jah Love became unusually paranoid to the point of alleging that Bounty Lisa had been given a gun by the drug dealer. "One evening akabva anditi buda mumba mangu ndoda kukiya door ndichibva ndatora hand bag yangu ndobva ndabuda panze ndobva andipinza mukombi make ndobva tabuda. "Ndobva taenda paanotenga madrugs ake. 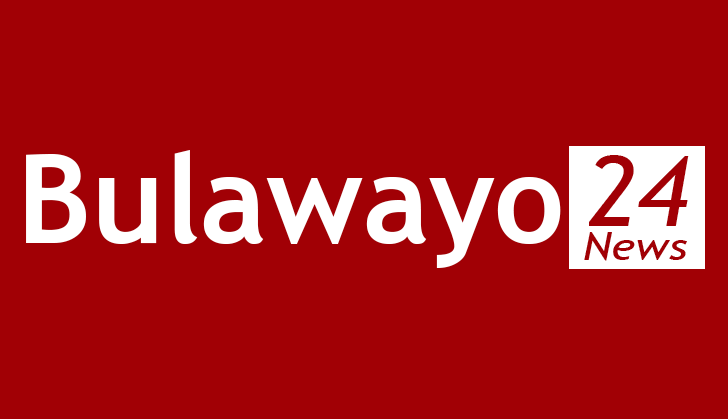 Tasvika paye achibva atenga madrugs ake akatanga kunditi muri kutozivana ndikati ndinovazivira kupi vakomana vaya vakati tinovazivira kupi isu tatotanga kuvaona nhasi. (He alleged that I knew the drug dealers. "Tikabva ipapo tichingonetsana akati ndoda kunokusiya kumba kwenyu . . . tichangoti fambefambei akabva ati ndakuona uchipihwa pfuti nevakomana vaye akati pfuti yawapihwa iripi . . . ndikati handina pfuti yandapihwa handina wandambotaura naye wani . . . achibva andikikirisa, kumbomisa mota kutanga kusecha mota achiti waisa pai . . . achindidhonza dhonza . . . takanetsana kusvika around 3am (He alleged I had been given a gun by the drug dealers. He even searched the car saying I had hidden the gun somewhere in the vehicle)," said the songstress. After being dumped near the City Sports Centre in Harare, Bounty Lisa claimed that she walked into town around dawn. "As he dumped me, he continued to insist that that I had hidden the gun somewhere in the kombi. After wrestling with each other for some time I managed to get $9 from my handbag and I walked around dawn from near the City Sports Centre until I got into town where I got a taxi to Kuwadzana," she told the Daily News. Bounty Lisa has since reported the assault to Rhodesville Police Station in Harare, where the singer was summoned yesterday afternoon. According to Bounty Lisa's father Phineas Musenyi - who accompanied her to the police station, Soul Jah Love pleaded with his daughter for forgiveness. After a lengthy counselling session, Bounty Lisa is understood to have decided to give the Conquering Family frontman another chance. The police are, however, understood to have asked the couple to deposit a signed affidavit with them, empowering the police to press charges against Soul Jah Love should any similar mishap arise. Asked whether she was going to continue living with Soul Jah Love, Bounty Lisa's father said; "That rests entirely on the two of them. Bounty is not going back now. If that has to happen, it will only be after consultation with his relatives because these assaults have to end. You never know what this will brood in the future." At the time of going to print, Bounty Lisa was due to go to hospital for examination.